Men’s clothing enthusiasts often stress the importance of using specialized hangers for suits and sport coats. 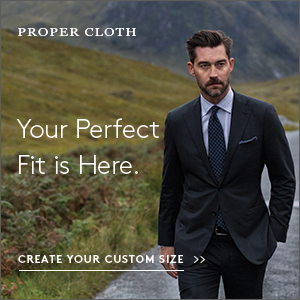 It’s not an empty claim, since tailored jackets have their own form, and these forms need to be preserved. 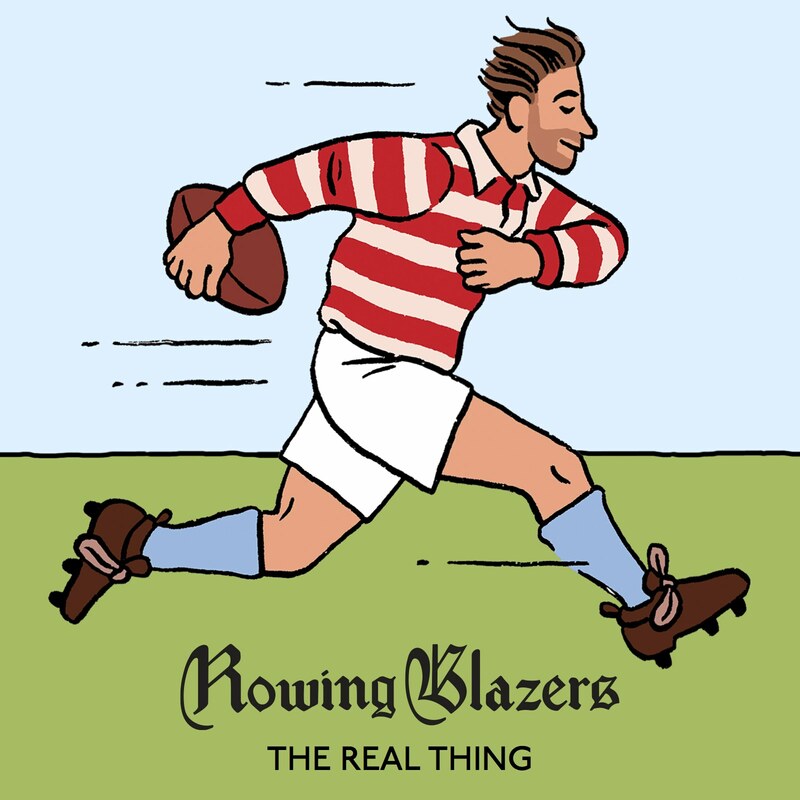 If a jacket has been well-made, its fabric will have been moulded through a lot of hand pressing and ironing in order to give it a certain three-dimensional shape. The claim is that if we use improper hangers – ones that don’t imitate the width and curvature of our shoulders – a jacket’s form can be ruined. I admit I’ve always been skeptical of this, yet I’ve also never used anything but contoured hangers. Whether or not regular hangers are actually bad for tailored jackets, I’ve never been willing to take the chance. Last month, The Hanger Project – who many say makes some of the best specialty hangers – sent me some of their products for a review. Their shirt hangers are simple enough, though probably better looking than anything else you’ll find on the market. They also have flocked trouser hangers that allow you to avoid the creasing that can result from a locking bar. 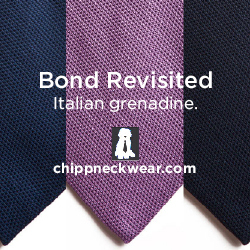 Their most impressive hangers, however, are those made for suits and sport coats. These are shaped in a way to closely resemble how a man’s shoulders naturally curve forward, and the ends flare out to an impressive 2.5″ in width. This might sound excessive, but again – one should remember that a well-tailored sleeve is shaped through a lot of hand pressing with a heavy steam iron, and that shape presumably should be supported. Fortuitously, a day after The Hanger Project’s package arrived, I went to have drinks with a rather renowned (and very fair minded) tailor from Savile Row. I took the opportunity to ask him whether such specialized hangers really make a difference. He said absolutely. An improper hanger could easily ruin a jacket’s shoulder line, which is one of the most critical parts to how a jacket fits. He also said The Hanger Project’s hangers are the best he’s ever come across. So, my skepticism has been assuaged. There are two downsides to The Hanger Project’s products, however. The first is that their suit and sport coat hangers take up considerably more room. That’s necessarily so since they have such curved and wide shoulders, which are designed to support a jacket as ideally as possible. If you can’t afford the space, you can try their travel hangers, which are a bit narrower. The other downside is obviously the price. Their flagship suit hangers, for example, are $25 a piece, so these aren’t exactly cheap. 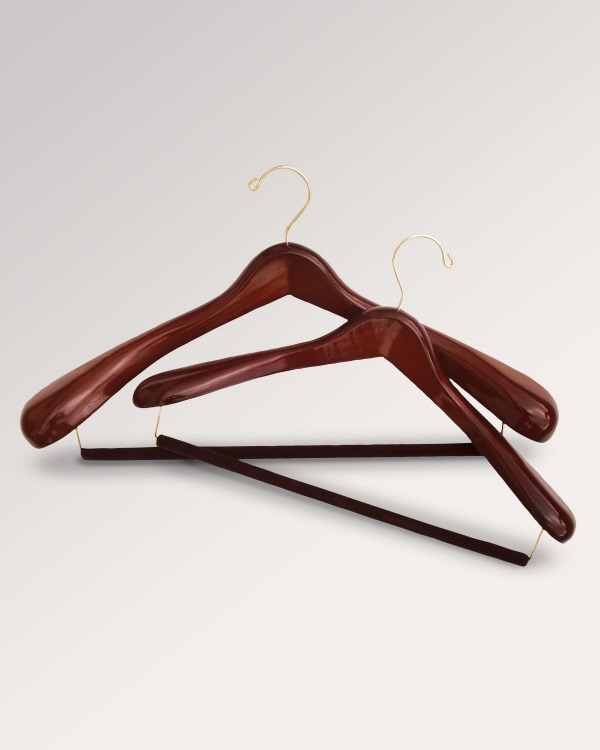 For an affordable alternative, there’s Wooden Hangers USA. The woods they use aren’t as nice, and sometimes they have slightly rougher edges (though nothing that I think would damage a jacket). They also cover their trouser bars with a slightly less effective ridged vinyl, rather than flocking them. Perhaps most importantly, their suit hangers’ shoulders aren’t as curved and wide, and they come in sizes that might not be as ideal. I wear a 36 coat, for example, and The Hanger Project’s 15.5” wide hangers fit my jackets perfectly. The sleeves are supported just at the right points, whereas Wooden Hangers USA’s products push them out a bit. Still, Wooden Hangers USA has some truly wonderful products at affordable prices. Their stuff feels sturdy in the hand, comes in nice finishes, and features 2” shoulders (just a bit less than The Hanger Project’s 2.5”). I’d say they set the baseline for what a decent quality hanger should be. 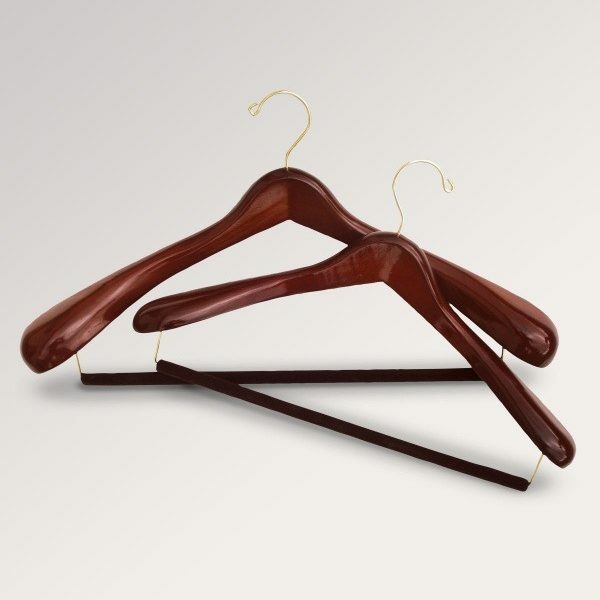 If you can’t afford The Hanger Project’s products, Wooden Hanger USA’s will certainly be better than the free wire ones you get from the dry cleaners. 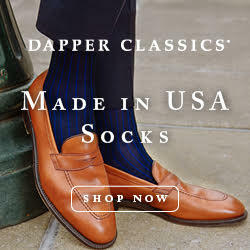 And if one is buying high-quality tailored jackets, a $7 hanger from Wooden Hangers USA, or a $25 hanger from The Hanger Project, might be worth the investment.